It’s been almost three weeks since I never graduated from Recurse Center. 1 I’ve been meaning to write a blog post about—or any blog post, really—for these weeks, but somehow writing it didn’t seem right. I’m not ready to face the truth of me not being there anymore, of RC being part of my story, of it being a chapter that is written and handed over to the editor. But that’s how it is, and it’s about time to accept this as a reality and move on. And so I’m writing this little post: an inside joke for the initiated, a Return Statement. Many Recursers write them after going back to their regular lives. Today I’m becoming part of that list. I asked a few of the Recursers I paired, worked, or mingled with, whether they want to be included by name. It’s an opt-in system, so whenever I talk about another person without giving their name, it’s likely they just didn’t explicitly consent I use it. Built a reimplementation of bc in Haskell. Added UTF-8 support and Lua scripting to my editor. Paired with another Recurser on a collaborative text editor in OCaml. We didn’t get very far, but it was fun, and the person rebuilt the project in Python. Built a silly compiler in OCaml in an all-nighter. Gave a presentation about LLVM for the interested. Gave a lecture series on security, a great RC tradition, together with another person. Built an effect pedal (an octa-fuzz), and learned to solder properly in the process. A picture is provided in Figure 1. Blogged like it was a life-and-death kind of thing. I count 27 published blog posts during my time at RC. Worked on a VST plugin with a dear friend. Implemented a bunch of numerical systems. Learned an incredible amount while pairing with amazing people; see below. I’m sure I forgot half of the good stuff already. 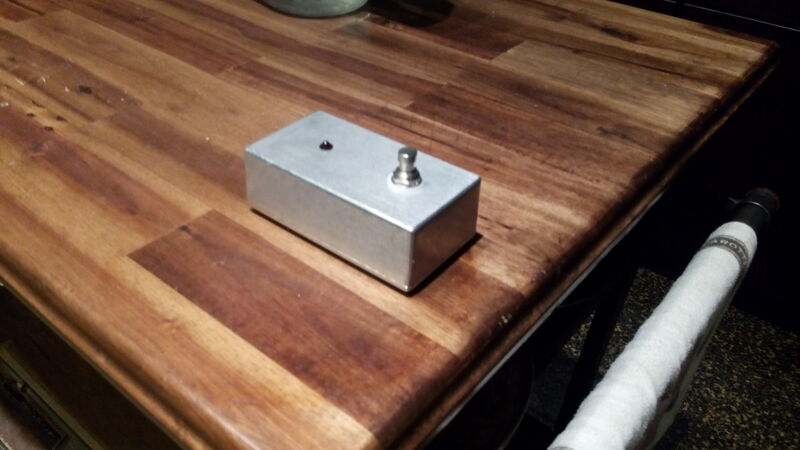 Fig 1: My beautiful first effect pedal. But that was only a tiny fraction of all the good stuff that happend while I attended RC. The best part was, of course, the community. Let’s talk about that. I’ll be frank with you for a moment: RC was the most draining experience of my life. I got to be at peak productivity whenever I wanted to be, which happens to be more often than my body and mind allow me to. What helped me keep going every day were the people. I’ve met more good people in three months than I have in several years back home—though I do have a considerable friend base, comprised entirely out of people I truly enjoy. Jaseem Abid: This guy is always on. Because he was working on a compiler for a considerable fraction of his batch we spent a lot of our time talking about that. But whatever we talked about, he was engaged, knowledgeable, and opinionated, and I enjoyed that. Sukanya Aneja: Sukanya is actually the first—and, as of yet, only—Recurser that I’ve seen in person since my batch ended. She was one of my closest friends during RC, and I hope afterwards as well. We were both part of the tiny and hand-selected smoker group—tiny addictions are a great way to bond. Always calm and ready to abandon whatever cool project she was working on to drink and chat, she was one of the people that made RC livable for me. Sabelo Mhlambi: A nightowl like me, Sabelo happened to work on the most interesting projects in C during the calm that is afterhour RC. We paired on a few projects in the early morning, when I felt like I couldn’t get anything done anymore, and Sabelo managed not only to still be incredibly focused, but giving me focus as well. It was glorious. He’s motivated enough to have extended his batch, which is, for me, squarely unfathomable. Saul Pwanson: Saul is one of the fastest-thinking programmers I had the pleasure of meeting. Every once in a while we paired, and I pretended to contribute, but mostly his mind worked so much faster towards the goal anyway that I was a mere spectator. I’m not usually a fan of spectator sports, but this was pure craftmanship in action. Of course he also happened to be the nicest, welcoming guy, and while we didn’t have nearly enough conversations, the ones we had were some of the most impactful of all of RC. Abe Hmiel: I blogged about him before. A man of many hats: physicist, programmer, musician, and all of them on a level that gives me anxiety. He’s also calm and funny, so that helped. Another one of these people that made RC a better place just with their presence. Dan Luu: The man needs no introduction. For me personally he helped ignite a passion for long-form blog posts and, through mere presence, my more hardware-oriented projects. Maybe I’ll even learn proper Verilog one of these days. Indradhanush Gupta: Another one of the late-night crew, and another one of these calming presences. We meant to pair much more than we ended up doing, but even without much of that I know he’s a great programmer and person. Tell me when you finish that Raft implementation, will ya? Tim Babb: Not only is he an incredible programmer, but also one of the best teachers I’ve ever met. Of course the Pixar guy will know about Computer Graphics, but to explain it in a way that doesn't make my tiny brain melt is quite the feat. Thanks for taking away my fear of long equations, and thanks for sharing so many lunches and dinners with me. Hang Lu Su: I don’t think we talked much about technical stuff, probably because there was so much more interesting stuff that we talked about instead. Her self-admitted snobbery in food-stuffs led me to a bunch of excellent restaurants, and her energy filled a lot of our shared outings, be it to the movies or to concerts. I hear she even organizes some things around RC these days, because she too extended her batch. Incredible! See you soon, Hang Lu! I've talked to a bunch of people about this already: if you can afford the time and money of going to RC, apply right now. It is one of the best places for programmers, no matter the background. I definitely plan on going again as soon as I can, because I know it will be worth it again. Thank you all, whether I mentioned you explicitly or not, for making RC the best possible place for me! You know who you are. 1. “Never graduating” is one of the countless inside jokes among Recursers. You never graduate from RC. There’s even a “Never Graduation Ceremony”, which is perfect for someone like me who likes his jokes way overdone.